The mobile phone Clean Room, touch screen clean room and LCD TV clean room can build like these pictures, the FFU filters on top, the aluminum alloy as frame and stick the anti-static film as wall, no need install by the operator himself. This kind clean room adopt an independent high efficiency HEPA filter or ULPA filter and FFU blower composed of high-level clean space. A standard 10' *10' clean room takes only few hours to install and disassemble more easily. The internal clean level of clean room can reach 100~10000 level. Looking for ideal Mobile Phone Clean Room Manufacturer & supplier ? We have a wide selection at great prices to help you get creative. All the Touch Screen Clean Room are quality guaranteed. 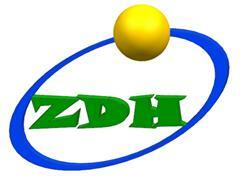 We are China Origin Factory of LCD TV Clean Room. If you have any question, please feel free to contact us.